Will China's New Leaders Bring New Green Policies? For China's growing number of environmentalists, the crux of China’s annual “Two Sessions” lies in the Ministry of Environmental Protection (MEP) press conference, scheduled near the end of the sessions. Many of us had high hopes this year. After all, the first week of the conference appeared to differ from previous years in that environmental issues were often at the front and center of deliberations. In the first week we heard the former MEP Vice Minister say the country's air pollution problem could be addressed in 10 years, given enough political will. 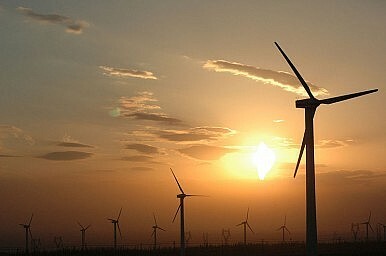 This followed with another Chinese People's Political Consultative Conference (CPPCC) member and general manager of a wind turbine manufacturer, Zhang Chuanwei, suggesting that China should curb its coal use in eastern regions and embrace cleaner power sources. Seven CPPCC members, including three vice Environment Ministers, also called for a joint proposal by key regions including Beijing, Tianjin, Hebei, Shandong, Yangtze River Delta and Pearl River Delta for a coal cap, mirroring Greenpeace's own demands. But the MEP conference conducted last Friday thoroughly ruined the hopes (and the weekends) of environmentalists pushing for change. As the Wall Street Journal reported, the questions were largely "arranged," responses "tightly scripted" and the real concerns were not addressed. Nevertheless there were still a few crumbs thrown our way from which we should attempt to glean the government's plans for the year. Vice Minister Wu Xiaoqing began the press conference by outlining MEP's plans to tackle air pollution, which will take center stage in the ministry's work. It appears the MEP has picked up on the swelling public outcry in recent months. Wu's modest comments touched on plans to cap regional coal consumption and include air pollution as a metric to evaluate regional and local Party official’s performance, both of which are crucial steps. But the devil lies in the details. Without clear signals on when these measures will be implemented, and how stringent enforcement will be, the requirements outlined in the government's own work report are far from fulfilled. In fact, the Vice Minister failed to answer a question regarding what scientific basis had been used in establishing the 18 year timeline for Beijing to meet air quality standards, particularly when previous MEP timetables had set a 2030 deadline. The emptiness of this press conference reveals just how difficult it is for the MEP to flex its muscle against polluting industries, uncooperative local governments, and other more powerful ministries. By the end of the two-week conference we witnessed little more than business-as-usual.